The Geological Survey of Ireland (GSI) has purchased AML Oceanographic’s Moving Vessel Profiler (MVP) to simultaneously improve the productivity, safety, and data quality of their survey operations. Working in partnership with the Marine Institute of Ireland under the joint programme INFOMAR, they have committed to having all Irish waters mapped by 2026. The addition of MVP30-350 systems to their two 16m survey catamarans is expected to facilitate on-time completion of the project. “The MVP is expected to improve productivity by over 10%, but more importantly they will enhance safety,” explained Project Manager Sean Cullen. "Instead of having crew members venture out onto the deck in all weather to manually take a static profile, the underway profiling systems will automatically and continuously collect SVPT and output the data to the multibeam echosounder in real-time while the vessel travels at 8-10 knots. 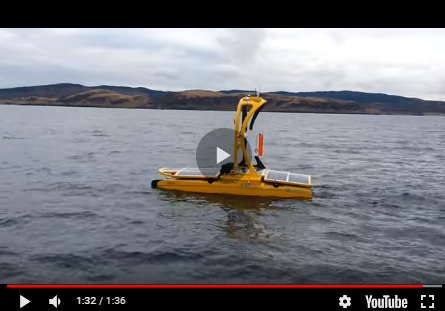 The first of the two systems was commissioned aboard RV Mallet in November 2018, with delivery of the second MVP30-350 for RV Keary to occur in 2019. To date, over 130 MVP systems have been provided to organisations around the world seeking to reduce the technical and financial unpredictability of hydrographic and ocean science surveys.